Our Coffee & Cakes - Glenn's Bakery. Glenn’s makes espresso and espresso drinks exclusively with Illy Italian coffee. Whether it’s a single or double shot, a tasty Americano or a tempting mocha latte, your drink is prepared with the same great attention to detail that Illy put into the selection and roasting of its beans. Our regular coffee comes from the Allegro Coffee Company in Thornton, Colorado. Espresso: A small cup of strong Italian coffee. Espresso Macchiato: Espresso with a dollop of milk foam. Same strength and size as above, but with a smoother taste. Americano: Espresso with added water. A longer cup. Still smoky and full-bodied, but lighter– American style. Cappuccino: Espresso with a hot milk and foam. Not too big. Perfect after a meal! Latte: Espresso and hot milk— our most popular choice. When you need a long, filling drink. Hot or iced. Caramel Macchiato: A latte with vanilla syrup and caramel sauce. Delicious! Add a flavor shot to any of these. Available flavors: chocolate, vanilla, caramel, Irish cream, hazelnut, and sugar-free vanilla. Add a shot of espresso to any of these also! We offer a wide selection of Mexican pastries, donuts, cream-puffs, cookies, cakes, pies and turnovers, muffins and breads baked fresh every day, starting at only 85¢. If you can’t handle the sweetness, make sure to ask for our delicious sugar-free pastries. Cakes are our specialty! 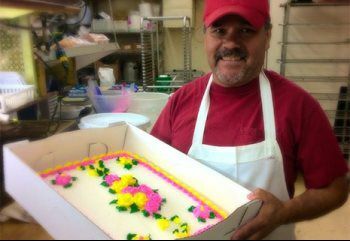 From weddings to birthday parties, from graduations to family gatherings, we make your cakes to order! Once ready, a cake can be inscribed with a special message or topped with different kinds of ornaments. We carry a limited variety of cake ornaments, which we are happy to offer to our customers. Due to the amount of work involved in creating a custom-made cake, ordering them requires advanced notice. Please contact us or visit us at the store to place your order. We scan any picture onto your cake, too! 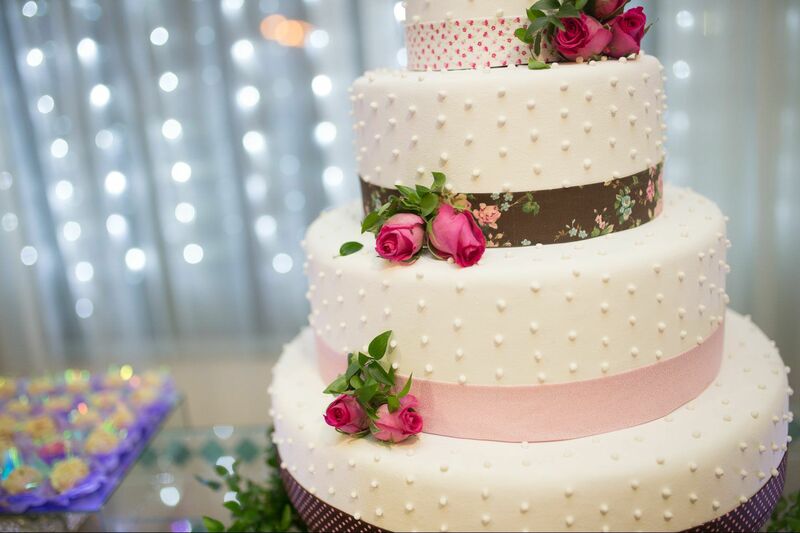 10″ to 16″ round cake orders require a deposit.